When one thinks of an accident at work , the images that come to mind are usually a fall of stairs or cuts to the body. But there is also the risk of electrocution and electric shock, which occurs when a part of the body touches any source of electricity and causes current through the muscles. Although the effects of electric shock may be obvious (death or burns), they may also be undetectable by sight, such as damage to nerves or tissues. If you have suffered an injury from contact with a current due to your work, contact the electrocution injury lawyers of Mr. Alejandro Padua’s office to discuss your case and the possibility of compensation. The Occupational Safety and Health Administration (OSHA) has named electrocution as one of the most fatal aspects of construction work. OSHA has also reported that one of the most violated standards by employers is machinery hazard communication. For these reasons, the death and electric injury lawyer works to help recover compensation after an electrical injury. Although most electrical accidents occur in the work environment, they can also occur in places such as a restaurant, a store, or a hotel. If you have suffered an injury due to an electrical current outside of your work, you may also have a case against the business where it occurred. Contact the Alejandro Padua electrical injury lawyers office to discuss your case confidentially. As you can see, these scenarios commonly occur at work. It is important to work very carefully and always bear in mind the risks of your industry. 9,760 workers in the United States were injured due to exposure to electricity during this five-year period. By occupation, workers in installation, maintenance and repairs (29%), construction and extraction (25%), and service (19%) represented the greatest number of injuries. More than a quarter (28%) of the electrical injuries resulted in 31 or more days not worked. Groups by age, workers between 25 and 34 years of age and those from 35 to 44 years accounted for the highest proportion of injuries, each with 26% of the total. 739 people died due to exposure to electricity. By occupation, workers in construction and extraction (47%), installation, maintenance and repair (22%) accounted for the highest number of deaths. 80% of fatal injuries from direct exposure to electricity occurred while workers were involved in construction, repair or cleaning activities. Workers who were fatally injured as a result of indirect exposure to electricity were almost always engaged in construction, repair or cleaning activities (37%) or were using tools or operating machinery at the time of injury (32%). The health of the person. If you have been suffering from any of these symptoms or feel different due to an electric shock, you may be entitled to significant compensation for your accident. Burns: You will need surgery to remove dead tissue or damaged skin to prevent infections that can lead to death. Cardiovascular problems: If the damage to your heart is permanent, you will need surgery and medical attention for the rest of your life. Neurological problems: The electric shock can cause problems with the nervous system and the brain, which will need medical attention. Muscle and bones: If you suffer a broken bone or muscle damage, you will have to receive physiotherapy and rehabilitation treatments. Or perhaps a loved one has died due to electrocution, and attorney Padua is here to help you recover and maximize the compensation you deserve during a difficult time. This information is not absolutely necessary for the first consultation, but it is good to have it. Your consultation is free, and you do not pay if we do not win your case. You should not speak with any representative of the insurance company after your accident. The insurance representatives do not take their interests into account and try to diminish the damage they have suffered. Neither should you try to solve your accident only, because there are laws and details that only a lawyer can help you navigate properly. Another important issue is the confidentiality of your case. 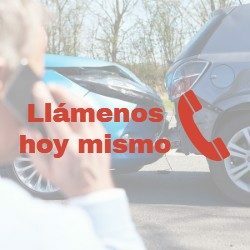 This confidentiality must be maintained during the development of your case, so we advise you not to put any photo or news on social networks that has to do with your accident.